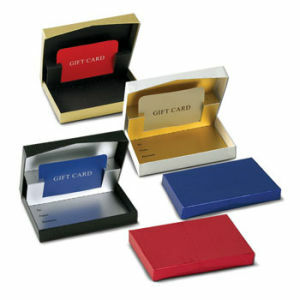 Dimensions: 4-5/8" x 3-3/8" x 5/8"
Pop Up Gift Card boxes are a wonderful way to give a gift. There are many different stock patterns available, 50 to the case. These can also be hot stamped with your logo. Please call us at 800-426-5708 for any questions about custom options. You are helping the environment by using these boxes as they are made from recycled board. Minimum order is 1 case of 50 boxes.